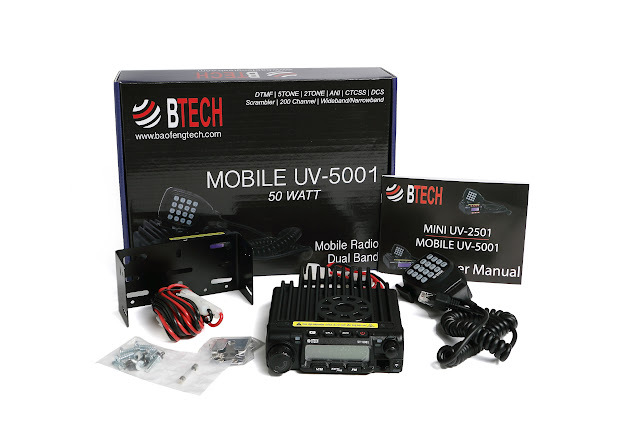 And now some more details on the dual band 50W mobile Baofeng Tech UV-5001 ($149.89). Dual Watch Delay Time: Allows the receiver to stay on the secondary channel longer after incoming transmission - customize the delay up to 50 seconds; This avoids manually channel switching when you are engaged with simultaneous contacts on two frequencies"
Can the remote stun/kill/revive be activated by any radio outside of the group using the radios? Or, is it activated by a Master radio? And I believe they will ship to Canada.